Brian Hanley who has published the UFO footage on January 9, 2019, states: I usually cover politics, but when Sam Chortek and Jimmy Chappie came to me with this exclusive UAP footage, I had to break the story. At first there was a lot of doubt whether the recording was real or faked on which Brian Hanley decided to release the raw footage which was recorded by a DJI Inspire Drone over Beaver, Utah, just a couple of hours (by car) from Area51. The first original footage shows the object that moves at an incredible speed. The second footage shows the object in slow motion making it easily recognizable. 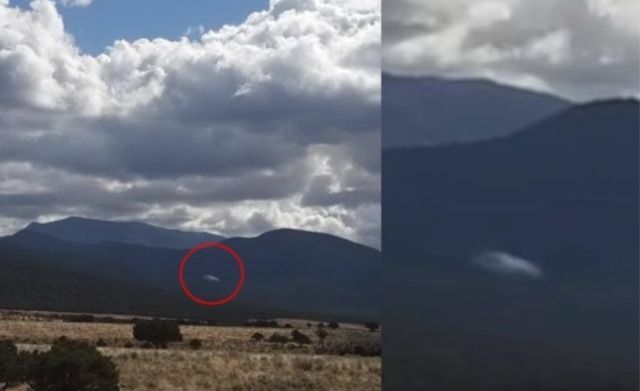 I do not exclude that the object is of extraterrestrial origin but since this UFO fastwalker has been filmed near Area51 it is quite possible that the object, which is very similar to other fastwalkers that fly through our atmosphere, belongs to one of their secret projects. somebody tried to shot them down... thats it.